Cabbage, broccoli, Brussels sprouts and cauliflower transplants. This is the prime weekend to plant them. New turfgrass as soon as possible to give it several weeks to establish good roots before cool weather returns. Wild branches extending way out beyond canopies of shrubs to maintain natural growth forms. Whenever possible avoid squared or globular shapes to lessen your workload. Dead branches out of trees, shrubs, whether caused by winter kill or summer drought. Pinch growing tips from overgrown coleus, begonias, other summer annuals to keep them compact through fall season. 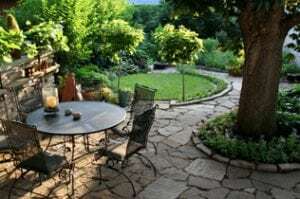 Patio pots and hanging baskets, also annual beds and fall vegetable plantings with high-nitrogen, water-soluble plant food to promote vigorous growth up until frost. Bermuda lawns with all-nitrogen food to keep them vigorous and green. Wait 2-3 weeks to fertilize St. Augustine to lessen chance of gray leaf spot outbreak during the heat. Chlorotic iron-deficient plants (yellowed leaves with dark green veins, most prominent on newest growth) with iron/sulfur product. Iron products can stain, so be cautious when using them near bricks, stone or concrete.